The only thing certain about technology is that it is constantly changing. The same is true with Internet design. The preferred way to present information has become through graphics. This trend is giving graphic designers a field day. However, at the same time, it requires them to constantly invest in new tools and resources. In the end, they have to keep up with the competition. Collaboration via business trips and over the phone is becoming passé as well. This is another area in which designers require the latest in collaboration-assisting tools. They need to do so if they are to meet ever more stringent project deadlines. The good news is that most of these new tools are both easy to work with and affordable. So, this might be a perfect time to shed some old favorites that aren’t really getting the job done. See what 2018 has to offer. Mason allows you to build, edit, and manage your front-end experiences from a central platform—all without the need for code. It enables your team to do the same, thereby speeding up collaboration and making it more efficient. Once you’ve incorporated a Mason feature into a website or app, downstream clients, developers, or marketers can edit it when needed, avoiding the need to initiate a new development cycle. Since these features, consisting of pre-coded blocks, are designed and developed with reusability in mind, you’ll never find yourself wasting time reinventing the wheel. Mason offers solutions for experiences ranging from user login to password reset to social sign-in to content feeds and more—front-end experiences virtually every web product needs. And, they’re insanely secure: Data is sent directly from a client’s server to your own via encrypted transactions, so you and the client are the only ones that will see your data. The pre-packaged solutions Mason provides address common product requirements and are completely customizable; create a fully branded login flow and deploy it, live inside your app, in literal minutes. In addition, this modular content will make page management much simpler for every page you create. Mason’s modular content is a win for you, for your team, and for your users. Try it free today! Working from a single platform can have its advantages but doing so is not without limitations. Since Mobirise is an offline builder you’re not tied down to a platform, you have total control over your work, and you can host your site anywhere you choose to. To see what Mobirise can do for you, simply visit the site and download your copy. It’s free for both personal and commercial use. Everything is drag and drop with no coding required, and since Mobirise is built around a Bootstrap 4 or Google AMP framework, your websites and apps will be lightning fast and 100% mobile friendly. This is an ideal tool for creating small or medium-size websites, portfolios, landing pages, and promo sites. Since it’s so intuitive to use, it’s perfect for non-techies as well, for anyone who prefers a visual approach to design, and for fast prototyping. Elementor provides another free and easy way to build your WordPress websites. 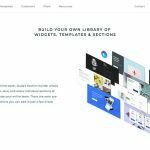 This open source page builder will let you build stunning websites without any need for coding. Its fast, it works with any template, and all your editing is done on the front end and in real time. 130 professionally-designed templates come with the package, Elementor works with any theme, its most popular features include advanced mobile editing capabilities, a visual form builder, a menu builder, and much more. If you’re wondering if this is the right tool for you, consider that in under 2 years Elementor has acquired a base of more than 900,000 users, making it the #1 WordPress website builder. With Elementor 2.0 releases in full swing, it’s only going to get better! When it’s time to get your website coded, you’ll naturally want to place it in the hands of professionals. Not doing so only increases your long term expenditures, which is why the Goodiewebsite platform makes good sense. This cost-effective service is best-suited for small projects like 1-10 page websites and other simple WordPress sites. Prices start at $999. The monday.com team management tool is equally suited for teams of two or teams of thousands, and it is used by both startups and Fortune 500 companies. 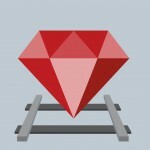 It’s especially popular among non-tech teams because of its intuitive use. Since monday.com centralizes everything, encourages transparency, and boosts collective productivity, every one of its users feels both more empowered and more important in the greater scheme of things. It can at times be difficult to find an affordable and reliable service if you have specific hosting needs. A2 Hosting offers a range of solutions that provide scalable, fast, secured, and optimized WordPress hosting. Easy site staging is a key feature, as is the 20XFaster Turbo feature that guarantees super-fast page loading. A2 Hosting updates automatically to ensure that it is always in sync with WordPress. With Uncode, you don’t have to start a design from scratch, nor do you need to concern yourself with coding. This powerful, user friendly WP theme has the functionality you need, including several exciting new features that include a powerful Gallery Manager, Slides Scroll, and Shape Dividers. Take a stroll through Uncode’s website model library to see the possibilities and how with Uncode you can keep “creator’s block” at bay. No matter what features a multipurpose theme may offer, using a specialty theme like Houzez has its distinct advantages. Created with the real estate sector in mind, Houzez’ features include multiple listings format options, advanced property search capabilities, geolocating capabilities, and payment and membership systems. Houzez also offers such unique features as property management system, custom fields builder, search composer, which make it is by far your best bet if you have a realtor for a client. The Hanger is modern, it’s classy, it’s easy to set up, and you can expect reliable and friendly support. 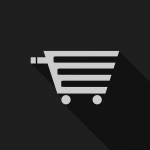 It provides an easy way for designers to set up and build eCommerce WordPress sites for their clients. Although The Hanger makes building an eCommerce site a straightforward process, its customization tools allow the designer to align its looks to perfectly fit a client’s brand. This premium animation platform takes you far beyond what the name implies. With LayerSlider you can not only create sensational layer effects, but image galleries, animated page blocks, popups, and slideshows as well. LayerSlider even has the tools needed to build complete websites. It’s drag and drop, responsive, SEO friendly, and easy to use. Maybe you saw a font used on an ad you wished you designed or the client cuts the chase and says: “why don’t we write that headline with THAT font”. In both cases you find yourself searching for the font name. WhatFontis.com’s identification tool can take care of this mundane task. With a database of 450,000 commercial and free fonts the automatic AI system will quickly locate a match or similar alternatives. FFonts.net features a directory of 75,000 free fonts. It has the necessary tools to help you find what you want, quickly and easily. It’s simply a matter of browsing or searching, previewing, and downloading. Search for a specific font, or preview several of potential interest. To make sure of your choices, you can write out strings of text to see how the fonts will look in actual use. 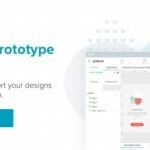 Fluid UI is a wireframing, mockup, and prototyping tool designed to enhance the collaborative design process. Fluid ID features a set of component libraries for desktop, iOS, and Android applications. It’s a handy tool for designers, product managers, and distributed teams to have on hand as its features include chat, interactive video presentation, and preview sharing capabilities. Creatives not only love Pixpa’s all-in-one portfolio website builder because of the results they can achieve but because they don’t have to use multiple tools & services to get the job done. Pixpa portfolio websites come with an inbuilt eCommerce store, as well as tools to set up client proofing and blogging features. Best-in-class hosting, and 24/7 support is included. wpDataTables is by far the premier WordPress plugin for creating tables and charts. It is so popular that more than a few web designers have switched over to WordPress to have the opportunity to use it. wpDataTables accepts data in many formats from many different sources. It manages huge amounts of complex data in mere seconds to produce colorful, responsive, informative, and maintainable charts and tables. wpDataTables has far too many valuable features to list here. 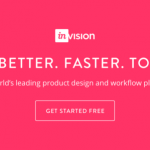 Do you want to speed up your workflow and enjoy an uptick in your productivity? Or, have you been looking for a solution to a particularly vexing design problem? There should be something here for you. We’ve covered a wide range of tools and resources. They encompass everything from hosting to chart and table building. There are also multipurpose and specialty WP themes. Hopefully, you’ve found at least one item to brighten your day.